The first developer beta of iOS 11.4 has been released, marking major feature additions like the arrival of AirPlay 2, Messages in iCloud and more. Check out the changes in our hands-on video. Today's beta arrives less than a week after iOS 11.3 was released with new Animoji, battery health tool, ARKit enhancements and more. Check out our hands-on to see the changes for yourself. Apple's iOS 11.4 beta was released alongside developer test versions of tvOS 11.4 and watchOS 4.3.1. Originally announced during WWDC 2017, Messages in iCloud is a feature that synchronizes a user's Messages "stack" between devices. Effectively, this means the same messages will be viewable on all devices a user is logged into with the same account, with messages deleted on one device striking it from all others. The newest messages are stored on-device, while older messages are held in iCloud. The feature had originally made an appearance in betas for iOS 11, but were removed during the fifth beta release. At the time, Apple said the feature would ship in a future software update. Messages in iCloud did make a reappearance in the first iOS 11.3 beta, but again disappeared in later beta releases. Also first announced at WWDC 2017, AirPlay 2 is an update to the AirPlay wireless standard that adds multi-room audio, HomeKit integration, and other system-level improvements that allow users to listen to and control content throughout their home. 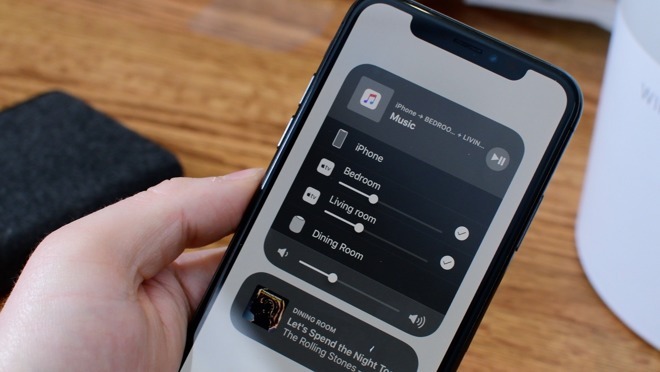 Apple previously advised existing AirPlay-compatible devices can be updated to support AirPlay 2, though little information about this has been offered following its initial announcement. Third-party manufacturers, including speaker producer Sonos, has pledged compatibility for AirPlay 2, but there has yet to be any product releases supporting the standard. AirPlay 2 support first arrived in initial betas for iOS 11.3 and tvOS 11.3, but was removed in later beta releases, and didn't arrive as part of the full iOS 11.3 public release. Its reappearance in the beta suggests Apple wants more testing to be completed before AirPlay 2 is released for public use. Launched during last week's 'Field Trip' event, ClassKit is Apple's framework for developers to add support for the upcoming Schoolwork app to their own apps. Arriving in June alongside a beta of the Mac version of Classroom, Schoolwork is a tool for teachers to digitally pass handouts to students and set up assignments for them to complete. Notes, PDF documents, and web links can be sent to students using the iPad App, with teachers able to monitor activity progress and receive assignments back once completed. Teachers can also assign specific activities within an app, and can directly point students to certain areas of the app. ClassKit is intended to allow developers to make it easier for such in-app activities to take place.